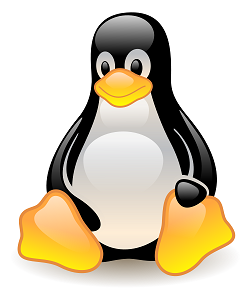 This article explains assigning a static IP to your Linux machine through the command line. If you’re assigning a public IP address, you should’ve purchased it from your ISP. Assigning the IP address in Linux requires you to edit the network configuration file. The network interface files are located at different places according the Linux OS variant. This article will cover both Red Hat and Debian variants. You need to logged in as the root user to edit these files, or you should have sudo permissions. By default BOOTPROTO is set to dhcp which should be changed, setting ONBOOT to yes will activate this network adapter when Linux boots and the care should be taken when entering the NETMASK value. Because unlike Windows OSes which automatically assign Subnet masks based on the class of the IP address manual assigning is required in Linux. Even though the interface will work if classless NETMASK is entered, the system might have problems in communicating with other network devices as they have a classful subnet mask. Refer to the Wikipedia article on Classful network to check in which class your IP address lies. If you use dpkg to install packages then you’re using a Debian based Linux OS. Using VI editor open the following file. Here again you should keep an eye when entering the netmask. I have installed Ubuntu on several computers on a LAN. Somehow all of these computers have been assigned 192.168.x.x ip addresses, and these addresses do not collide. I did *not* assign these static private subset ip addresses myself. So I wonder how these are these static ip addresses in the private subnet determined? Does each Ubuntu computer simply scan, say by pinging, for others computers in the subnet. Here I am speculating! That is, if a computer doesn’t get a response from 192.168.1.13, perhaps the computer assumes that there is no computer with that assigned ip adress???? That approach doesn’t seem rock solid as two computers could look for 192.168.1.13 at the same time and both claim that static ip address as their own when they don’t get a response. Of course, I am just speculating! I actually do not know how Ubuntu assigns these static ip addresses in the private subnet, but I’d like to understand it better. Any ideas how Ubuntu computes and assigns these static ip addresses in the private subnet? Hello Stefan, how did you check the IP address ? Using the ifconfig command ? If you find a line the line “iface eth0 inet dhcp” it means your computer has been configured to request IP address from a DHCP server. DHCP is a protocol which automatically assigns IP addresses to computers in the same physical segment. When you switch on your Ubuntu PC it sends a broadcast packet containing its MAC address requesting an IP address. This packet is received by all computers in the same physical segment including the DHCP server. The DHCP server responds by sending the IP address configuration to the computer which sent that broadcast packet. Most broadband modems/routers are configured as DHCP servers, so if you have one of these in your network setup it would’ve assigned IP addresses for all your computers.